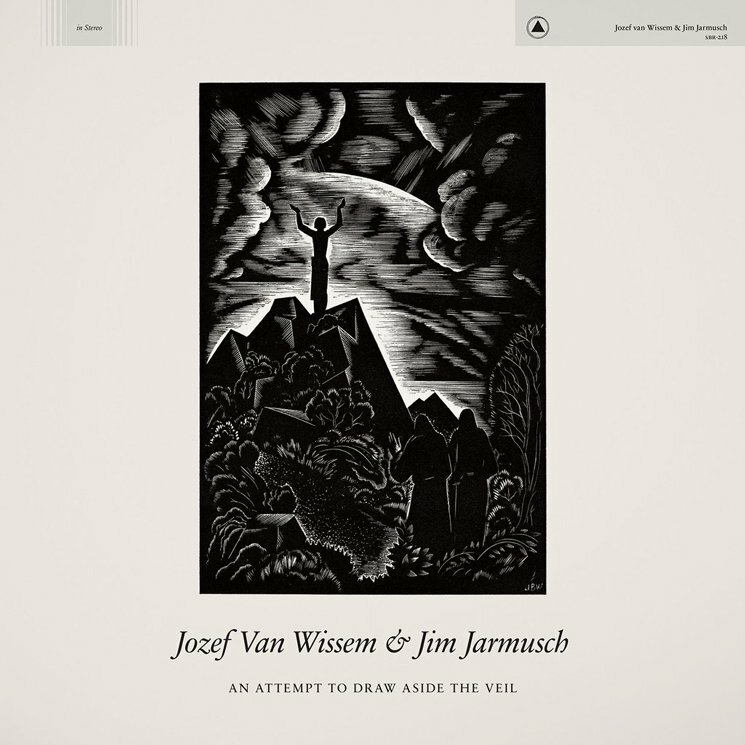 Jozef Van Wissem's latest collaboration with acclaimed indie film director Jim Jarmusch elegantly balances the archaic with contemporary post-rock. Consequently, An Attempt to Draw Aside the Veil triumphs through its adaptability, its capacity to evoke emotions that fit an infinitesimal number of images. Listening to this album is a bittersweet experience insofar as its minimalist instrumentation is balanced by chord progressions that ostensibly sound sanguine. The opening two tracks, "Concerning the White Horse" and "Dark Matter," allow Jarmusch's guitar drones, accompanied by a sporadic drum hit, to take the lead and evoke the gloominess of their previous releases. By contrast, the whimsy created by Wissem's lute playing on "The Unclouded Day" creates a sense of vibrancy. Jarmusch and Wissem cite thinkers and artists such as Emmanuel Swedenborg and William Blake as influences. It's appropriate that, as the instruments provided by both musicians act in tandem, we can almost visualise the grappling of great trials between minds. The penultimate track, "Final Initiation," provides a synth lead that manages to be contemporary, while Wissem's quietly strummed chords evoke the pre-modern sensibilities that inspired this album. This interplay never reaches a definitive climax, unlike other artists in the post-rock space. However, it is through the duo's subtle nuances, their patience as different sounds weave through each other, that this LP succeeds.